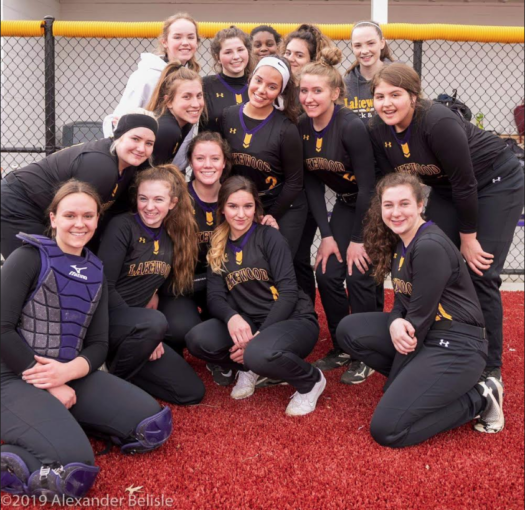 The Lakewood Softball season has started up and there is so much in store. The Softball Program only has a high school Varsity team with one Middle School team (combining both Harding and Garfield students.) The Varsity team consists of five Freshman, giving the program the young talent it needs to help it grow. Over half the team consists of Juniors (nine), making it a majority of the team, and only having one Senior. The Softball Program has received a new head coach and assistant coach this year. Along with new coaches, there is a new field across from the high school. Although it is a Utility field, this is where most of the home softball games are held. Being the first year for the softball team to play on this field. Most recent game that the Varsity team had, was Tuesday April 9th, where Payton Rossen had hit a 2-run homerun in the 2nd inning. These 2 runs being the only runs Lakewood had scored throughout the game against Amherst. Final score being 12-2, Amherst in the bottom of the 6th inning. By the energy from the dugout and seen within the players, the Lakewood Varsity team is very energetic and ready to play! Currently the team’s record is 0-6 for conference, and have many more games to go! They would love to see and hear your support in the stands at a game!